May 2015 – FOOD IS LIFE! Feeling Naughty: Maltese Prinjolata Festival Cake! Using an electric beater, beat butter in a bowl until an off-white/pale yellow colour. Add icing sugar mixture, 20 grams at a time, beating until all incorporated. Add your cream at the end, then beat well until thick again (should only take a few seconds). Cover with cling film, then place in refrigerator, until you are ready to decorate your cake. – Using an electric mixer, beat the sugar, eggs, lemon rind, vanilla essence for 4 minutes, or until mixture has a smooth consistency. Fold in the flour with a large metal spoon. This step is important, as you want as much air as possible into this sponge. – Grease your spring form medium-sized cake pan well with butter, then pour this aerated sponge mixture goodness in. – Cook your sponge for 20 minutes, or until a fork or a cake tester does not have any raw mixture on it, once inserted. If there is still raw mixture on the cake tester, once the 20 minutes have passed, then place in the oven for another three minutes, then switch the oven to ‘off.’ The residual heat will continue to cook this sponge. – Once cooked, place on a wire rack to cool thoroughly. If the weather is mild, this should take between thirty minutes to one hour. – Once your cake is completely cooled, break the sponge into very small pieces in a large metal bowl. Shake all your whisky all over this sponge, ensuring even distribution. Add your chopped and roasted pine nuts, dark chocolate chips and glace’ cherries. Use your large metal spoon to really give this mixture a good stir. – Using an electric beater, beat your margarine and sugar together, until a thick and smooth mixture has formed, then pour all your vermouth in. Beat altogether, until all the vermouth has been incorporated. – Gently and patiently, allow gravity to be on your side, as you empty the contents from the mould, onto your serving platter or large plate. – Now its time to decorate! Let the Maltese Carnival begin! – Once your moulded cake mixture has been placed onto your plate, you will need to grab your icing, as compiled previously, then cover your cake with this. You can use a spatula to really ensure you have a pretty finish to your cake. – Once your icing has been evenly spread, covering the outside of your cake, you will need to bring out your inner child and decorate like an artist! – Working quickly at this stage, in order to prevent the icing mixture from drying, completely stud the iced cake with your pine nuts. Then, grab your cherries and gently and randomly, stud your iced cake with these as well. – Bring some hot water to the simmer, in a medium-sized pot. Place your large metal bow over this simmering water, then break up your dark chocolate and place in the bowl. Allow the chocolate to melt completely, stirring constantly, in order to prevent it from burning. Artistically, pour this melted goodness allover your cake, making your artistic imprint on it, however you like it! – Keep the same hot water on the simmer, then clean your bowl. Now, do the same as you did with the dark chocolate, as per the white chocolate now. Once your white chocolate has completely melted, artistically drizzle this on top of all your cake. The white chocolate should be the last one on the cake. – Grab a bottle of vermouth, then pour into a petite glass. Admire your creation, then place in the refrigerator overnight in an airtight container, for the flavours to infuse. – Enjoy the next day with your favourite drink, then let the carnival begin! My Mum taught me from a young age: save electricity! As far back as I remember, she has taught me how to conserve electricity in the kitchen. Being brought up with a combustion oven, for about 10 years of my teenage years, I instinctively acknowledge the significant environmental, financial and wellbeing advantages of cooking from a combustion oven. The environmental advantage is that you are saving electricity. The financial advantage is that you are saving money from not needing to utilise as much electricity. The wellbeing advantages is that during the winter time, this combustion oven acts as a heater. You also get to chop fire wood, which will help burn those calories! Win-win! – Always cook with the lids on all your pots and pans, unless you really want to make your food crispy, or if the method in the recipe requires the lid to remain off. Keeping the lids on will save you money and save the environment by creating shorter cooking periods and using less electricity. – Turn the oven off about 5 minutes prior to your food being completely cooked. This way, the residual heat from the oven will continue to cook your food, hence helping the environment and saving money by reducing the time the oven is on and by using less electricity. – If you have a combustion oven, do all your cooking in this oven and on the combustion stove top, which will save you money and will really help the environment in a huge way! – Use your combustion oven to heat your house, instead of using the heater. This will save you money and will also help the environment. – If you have a combustion stove, use the top of the stove to heat your stove-approved kettle (should be all made out of a material which would not melt when exposed to high temperatures). 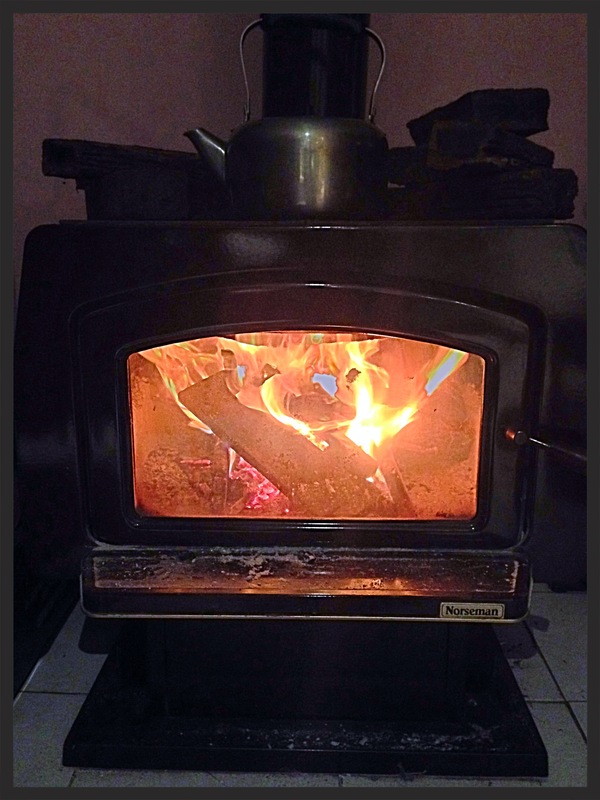 Since we no longer have a combustion oven, we still have a combustion stove, which we use all the time during the winter months to heat the house, boil the kettle and occasionally cook food. I have many other environmental saving tips, however, I will keep this post brief. Grab a tall jar, or fat jar. Sanitise your jar by boiling in boiling water in a large pot, for approximately 10-12 minutes. Pre-heat your oven to 110 °C, while your jar is boiling in the boiling water. Once the 10-12 minutes are over, wearing clean oven mittens, immediately place the jar onto an oven tray, then place into the pre-heated oven. Take the jar out, as soon as the water has evaporated out of the jar. This should not take very long at all, so keep an eye on it. Once the water has evaporated out of the jar, turn you oven to ‘off.’ Take your jar out, so now it is ready to be used. Cube your feta into 1 cm chunks. If you prefer larger chunks, you can cut them up larger. Pile all your feta into the sanitised jar. Place your crushed garlic between the cracks of the feta, in different places. 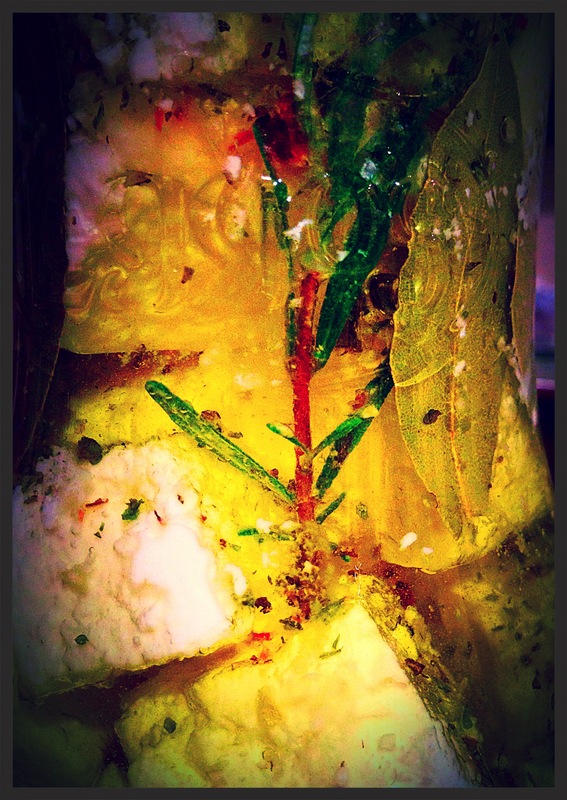 Place all your cut pieces of rosemary, scattered around the feta in the jar. Then place your bay leaves, presenting them inside the jar, so they look pretty from the outside. Squeeze your lemon all over the feta in the jar, then pour all your olive oil, enough to completely cover every piece of feta. Sprinkle your black pepper into this mix, along with your italian mixed dried herbs. Place the cap on your jar of marinated feta, then keep in the refrigerator for up to 2 weeks. Beautiful! Arrange on a large serving platter, alongside your favourite crusty bread, marinated olives and any other antipasto sides you like! 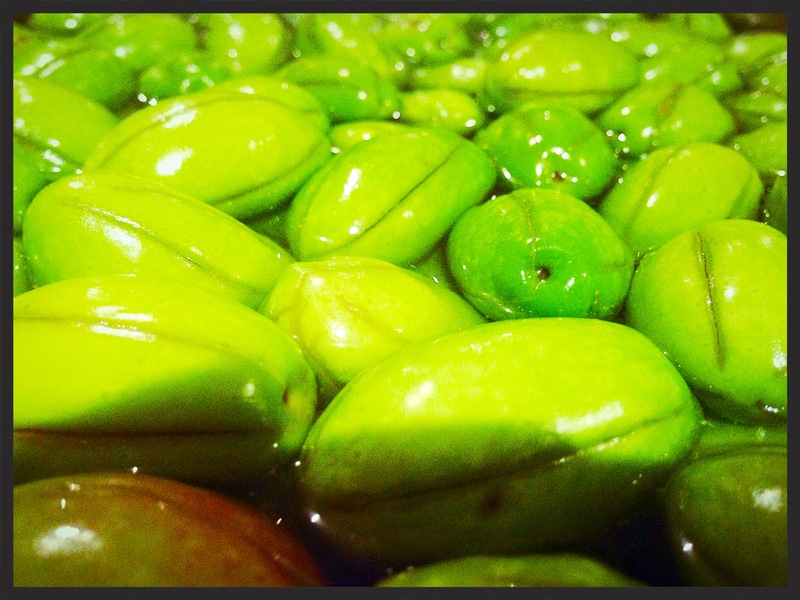 Serves many as part of an antipasto platter! Place your broth ingredients in a pot, then gradually bring to the boil. After your broth has boiled for approximately 2-3 minutes, reduce the heat to a low heat, then simmer your broth for 8 minutes. Turn the heat to ‘off,’ then put your broth aside. Cook your buckwheat noodles one minute under the packet directions time. Drain well, then leave your noodles to soak in icy-cold water. Toast your sesame seeds by placing your seeds into a dry pan (no oil). Turn the heat to medium, then sway your pan side to side, ensuring to toast on both sides. Watch your sesame seeds for the entire 2 minutes you are toasting them, as they can burn easily. Once a slight golden colour, turn the heat to ‘off,’ then set aside. Mix your pork with your pork marinade, in a small bowl. Heat your oil in a small-medium sized pot, then caramelise your pork, along with your pork marinade and chilli sauce. Once your pork is seared on all sides, add the kimchi, then continue to stir fry for 1-2 minutes. Add your broth, then bring to the boil. Once your broth has been boiling for 5 minutes, reduce your heat to ‘low,’ then simmer for 10 minutes with the lid off. Add your chunks of tofu, your soy sauce and two of your spring onions, sliced roughly. Simmer for a further 5 minutes. Your soup will now be cooked, so all you’ll need to do is whip up your three eggs into your bowl, along with some cracked black pepper, until well combined. Pour this egg mixture onto the top of your piping hot pot of soup, until the egg ripples apart and is cooked (this process should only take about 30 seconds). Drain your icy-cold buckwheat noodles well, then serve in a small bowl. Sprinkle a very small drizzle of sesame oil, followed by a sprinkle of your toasted sesame seeds, then a small amount of your thinly sliced spring onion. Ladle your spicy Korean Pork Soup into your bowl. 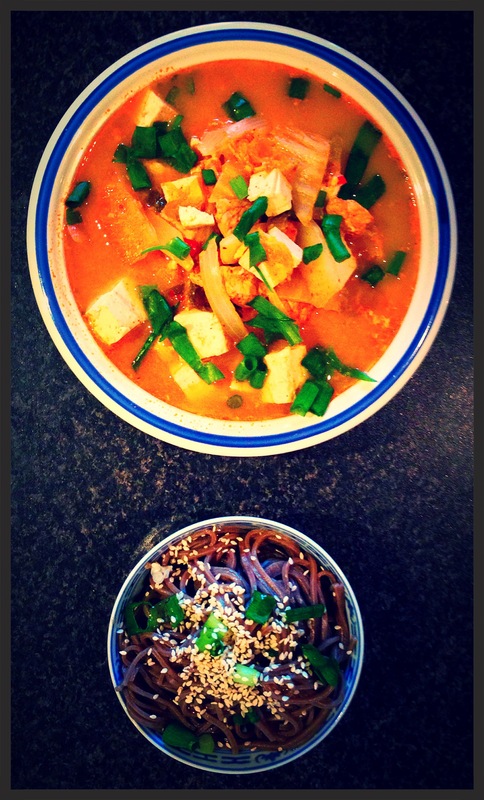 Enjoy your buckwheat noodles either dunked into your spicy soup or eaten separately as an appetiser. 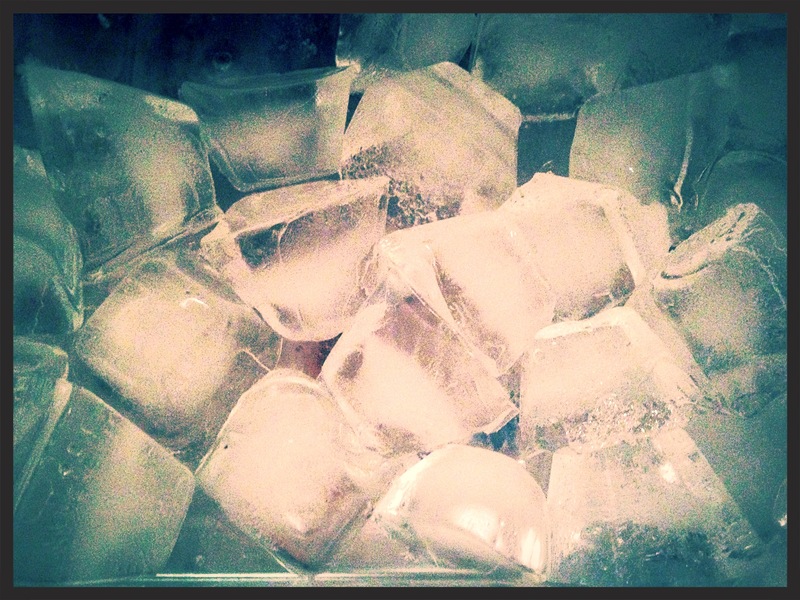 Karina’s ‘Fresh’ Environmental Cooking Tip! Pictured far left: Tamie, my Dog. My brother has a rabbit. His name is Floppy, however, he has many nick names. Apart from Floppy’s lovely nature and beautiful looks, he is also good for another thing. This thing is fertilisation for the garden! I only started using rabbit poo for fertilising the garden about a few weeks ago, however, we have had Floppy for around ten years! The benefits to my vegetable garden have doubled! The crop is greener, fuller and tastier! The best thing is, you don’t need to pay for a fertiliser! This one is a very green environmental tip, since the rabbit poo goes straight from the ground, into the garden, by one scoop from the shovel! 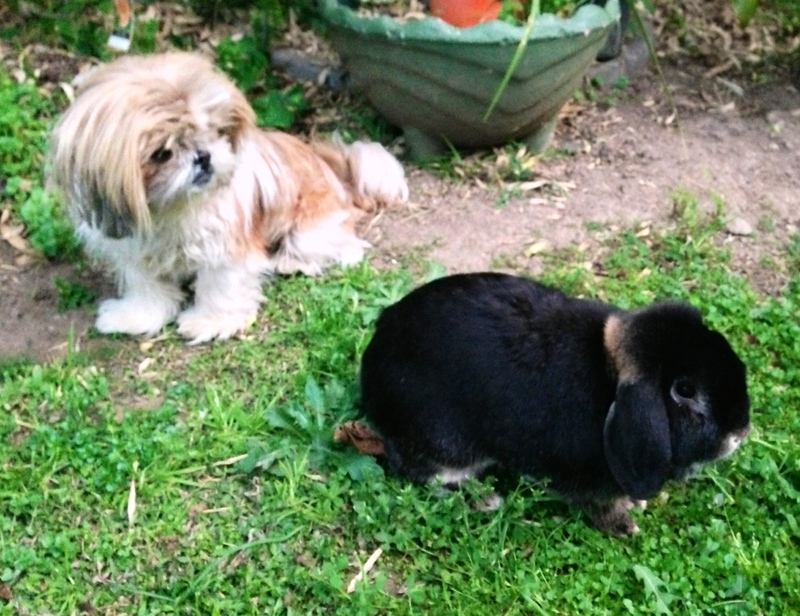 Beware not to over-fertilise, a very small amount of rabbit poo is sufficient, otherwise, you may do more harm than good! Rabbit poo is one of the best manures for your gardens, since it is rich in many nutrients! One added benefit is that rabbit poo does not have an offensive odour, as some manures do. Thanks Floppy, you’re the best! Have fun in the garden! 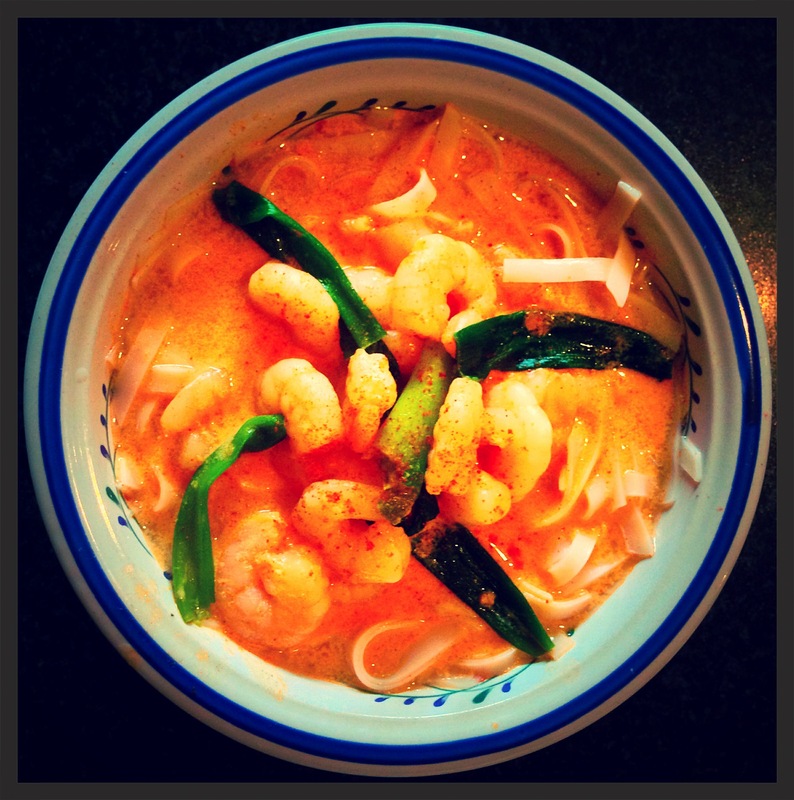 Karina’s Super-Easy and Super-Quick Prawn Laksa! One of the reasons why I titled my recipe ‘See-Food,’ is because, once you ‘see’ it, then you won’t! A super-fast recipe to make and you’ll gobble it up even quicker! Soak your dried rice noodles, as per your packet directions. Drain, then rinse in cold water to stop the cooking process. Set aside. Place the following into your medium-sized saucepan: coconut milk, curry paste, stock powder, chilli paste and shallots (scallions). Bring this mixture to the boil for about 2 minutes, stirring occasionally until all ingredients have dissolved into each other. Add your whole prawns, then simmer for 3 minutes (5 minutes if frozen). Ensure your prawns have turned a blushed pink-orange colour, so you know they’re cooked. Pour your cooked noodles into the base of your soup bowl. Take your Prawn Laksa broth and pour this into your prepared bowl, ensuring you scoop your prawns into your bowl last. Sprinkle your completed Prawn Laksa with Paprika, for presentation and a smokey flavour. Feel this classic comfort soup make your belly happy!